Will Ozzy's new album be a 'scream' without Zakk Wylde on board? 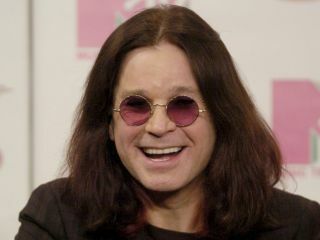 Ozzy Osbourne will release Scream, his first album in three years and his 10th studio effort overall, on 15 June. Needless to say, he's hoping it's the 'scream' that will be heard around the world. Osbourne will promote the album with an ambitious 18-month world tour. Dates and venues will be announced soon. The singer recorded most of Scream at his Los Angeles home studio, The Bunker, and co-wrote all the songs, primarily with producer Kevin Churko. Of special interest to guitarists, the album marks the first appearance of Gus G, who last year replaced Osbourne's longtime guitar player and collaborator Zakk Wylde (whose new home studio is also named, oddly, The Bunker). Ozzy's band also features bassist Blasko, drummer Tommy Clufetos and keyboardist Adam Wakeman. In addition to the lead single Let Me Hear You Scream, the album's confirmed tracks are Diggin Me Down, Let It Die, Soul Sucker, Fearless, I Want It All, Time, Crucify and I Love You All. Osbourne also recently collaborated on vocals with ex-Guns 'N Roses and Velvet Revolver guitarist Slash on the track Crucify The Dead (we're guessing it's different from Crucify), which appears on Slash's debut solo album. The track was originally to be released as that disc's first single, but Slash commented he didn't want to clash with Osbourne's new material.